I absolutely adore Yeasayer! If you haven’t heard of them before, I urge you to at least check out their album from last year, ‘Odd Blood’. The album was more pop orientated than their previous work, and subsequently, the band gained more notoriety with the wider public. This particular song is a cover of Seal’s ‘Crazy’, which they performed only a few days ago on Australia’s Triple J Show. When I first saw this spotted this on Sheena Beaston’s blog, I was a bit worried about what it might sound like, but I shouldn’t have been at all. This song was quite easy to match a photogragh to for a couple of reasons. The song itself is about survival, and on top of that, the style of music that Yeasayer have surrounded it with is gypsy/folk. I quickly searched a few of my favourite art spots on the web and found this photograph by Deniz Gozde. The light, colour, and expressions are all perfect, and well captured by Deniz. 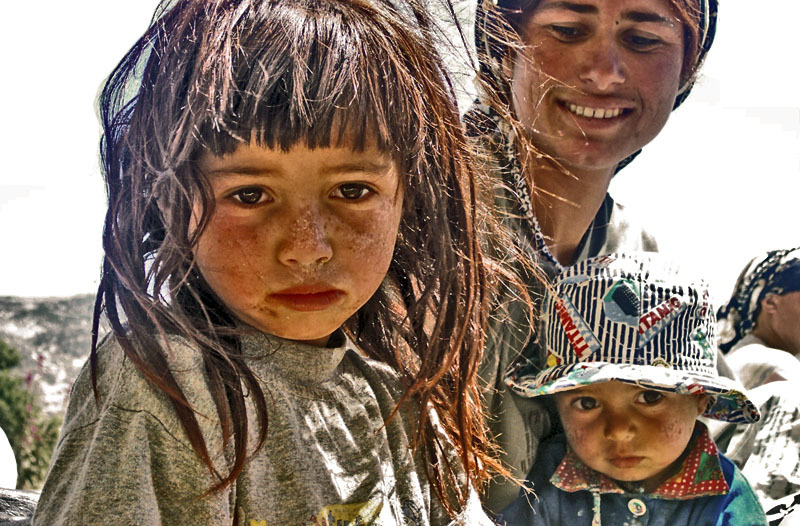 The gypsy family in the photograph were on their way to pick up chickpeas in Southern Turkey. I’ve also now realised that this is now two Turkish photographs in a row on here, it’s either a coincidence, or they really know how to operate the camera!